Successful first week of Summer Camps! This week has been the start of our Summer Camp 2015 season. 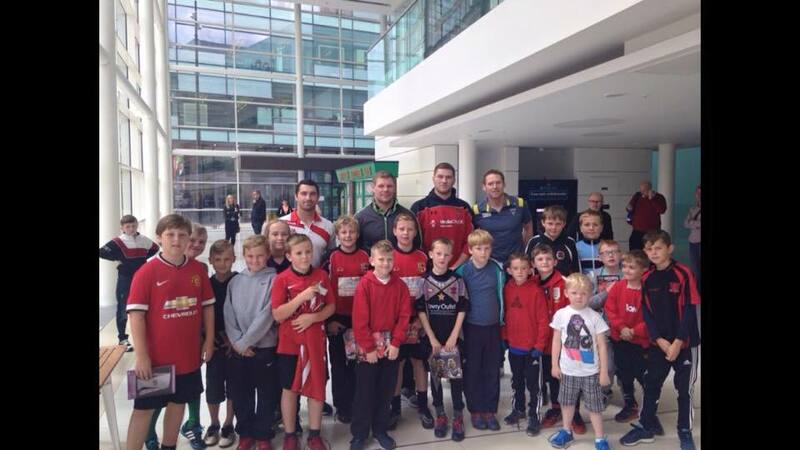 The camps began on Monday 27th July and run through weeks commencing August 3rd, 10th & 17th. Our first week has been a brilliant success, with many children arriving for a fun-filled week of multi-sport activities. 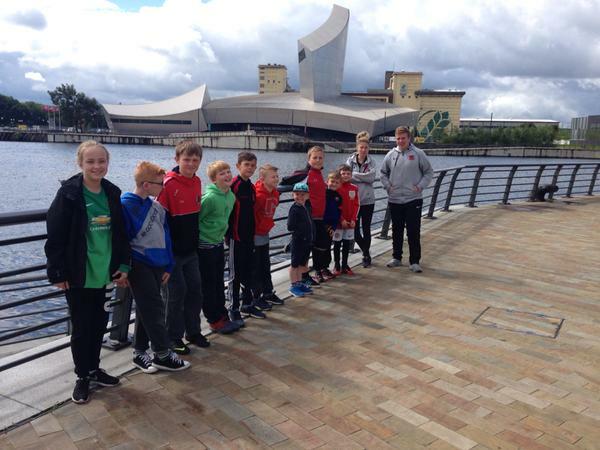 The two highlights of the week have been our trip to Media City UK, where all our camp guests got to meet players and enjoy a day out. This Friday all camp attendees came to the AJ Bell Stadium to watch the first team players train, getting the opportunity to see professional sport first-hand! We were lucky enough to get nice weather for the afternoon and it was a great experience and showed what our summer camps are all about. Drop off time from 8:30am & Pick-up between 3-4pm and will take place at Langworthy Reds, Oakwood Park, M6 7PB. The cost is £40 per week or £10 per day, with discounts available for siblings or multiple-week bookings. To book your place, please contact Lewis on lewis.lockett@thereddevils.net or telephone 0161 786 1591. However, walk-ins will be accepted if you would like to turn up on the day!